I follow the blogs of several other Stampin’ Up! demonstrators. Everyone is so positive and I find that they are the most absolutely helpful people and so inspiring. 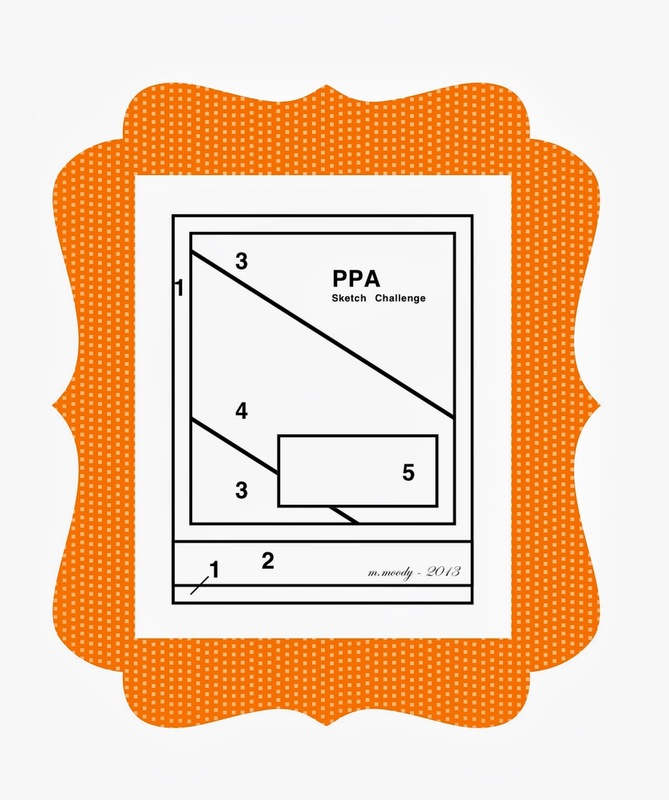 In fact, they have been inspired me to participate in Pals Paper Arts sketch challenge AND submit it! Here is my entry. I hope you like it! Wow! Right? Angles are tough, too. 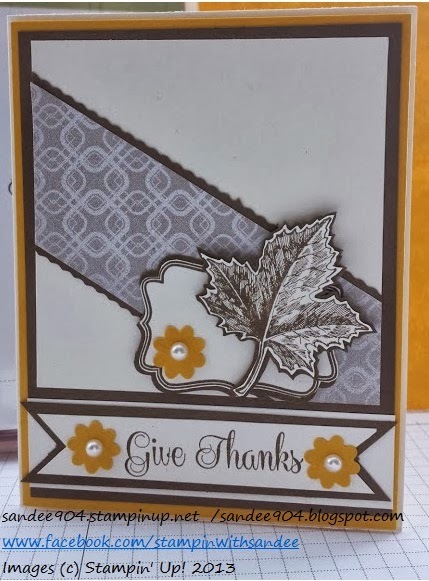 This was a perfect opportunity to incorporate the Stampin’ Up! Best of 25 stamp set Best of Autumn. And what goes better with a fall-themed stamp set than Sweater Weather DSP! Sweater Weather color scheme includes several neutrals and the re-introduced Crushed Curry! LUV Crushed Curry CS. Although it is not a requirement, it was important to me to stick to Margaret Moody’s design as close as possible. Of course, if you look closely, you will see some slight deviations. I have decided not to point them out. :) It is sort of hard to see, but I think you can see that after I cropped the leaf, it didn’t quite look right so I added a layer of Soft Suede and cropped it along the same lines of the leaf. Oh, I almost forgot to point out the bird in the stamped image from Four Frames stamp set did not stop me from using it on this card – I turned it upside down and the bird is hiding behind the leaf!